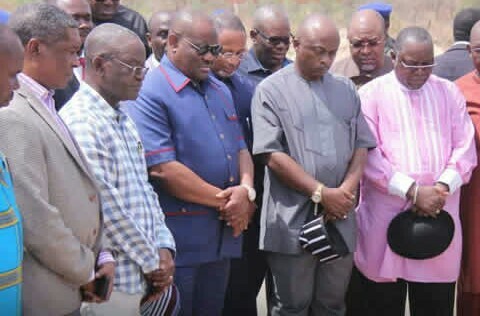 The All Progressives Congress in Rivers State has criticised Governor Nyesom Wike for donating N200m to those displaced as a result of attacks by herdsmen in Benue. The State APC Publicity Secretary, Mr. Chris Finebone, said it was shocking that Wike donated money to Benue IDPs while nothing has been done for victims of killings in Rivers State. “The APC is shocked to know that whereas victims of killings and criminality in various parts of Rivers State are licking their wounds and wondering where help will come from, the Rivers State Governor, Nyesom Wike, has gone to visit and donate N200 million of Rivers State to victims of killings in Benue State. “We recall that beyond highly politicised … visits to Omoku recently, Gov. Nyesom Wike has completely ignored killings in various parts of Rivers State, especially in the local government area of his PDP national chairman, Andoni. “The governor has neither mentioned nor visited Ajakajak and other Andoni villages where several persons have been gruesomely killed up till January, 2017. “Why has the governor not gone to visit victims of killings in Rivers State and donate to their welfare, but chose to travel to distant Benue State to display crass duplicity? “APC demands an answer from Gov. Wike,” Finebone added. Reacting, the state Publicity Secretary of the PDP, Mr. Samuel Nwanosike, said the governor only showed brotherly love to the victims of herdsmen attacks in Benue, adding that it was wrong for the state APC to try to score cheap political point from a help rendered to helpless persons. Nwanosike, who recalled that Wike had visited the families of those who lost their lives in the New Year Day killings in Rivers State, maintained that the APC in the state should realise that the money donated would go a long way in ameliorating the suffering of the IDPs.